After walking the runway at the 2018 Victoria’s Secret Fashion Show in NYC, Kendall Jenner flew to Las Vegas the very next day to accept her Icon of the Year trophy at the 2nd Annual Revolve Awards. 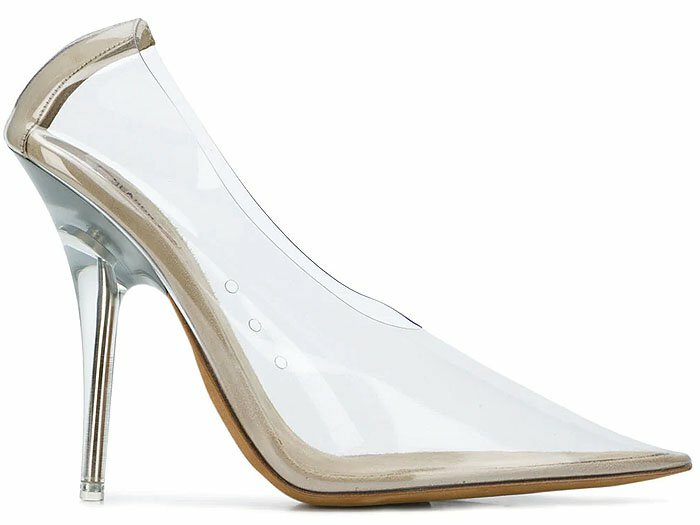 The 23-year-old model no doubt leads a charmed life, but she showed that she’s also just human when she bared her feet getting visibly sweaty in a pair of Yeezy PVC pumps. Perhaps Kendall should’ve taken a cue from her sister Kylie, who managed to avoid getting sweaty feet in the same clear pumps? We’ve also got five tips on how to stop clear shoes from fogging up, which includes Kendall’s own trick of wearing socks with them. Kendall’s fogged-up footwear nearly brought down her cute $158 LPA ‘Aurora’ dress with a flirty feather trim along the strapless neckline. The LBD is sold out but you can still shop the LPA ‘626’ gown ($228 at Revolve) or the LPA ‘Aida’ top ($138 at Revolve) versions of the dress. 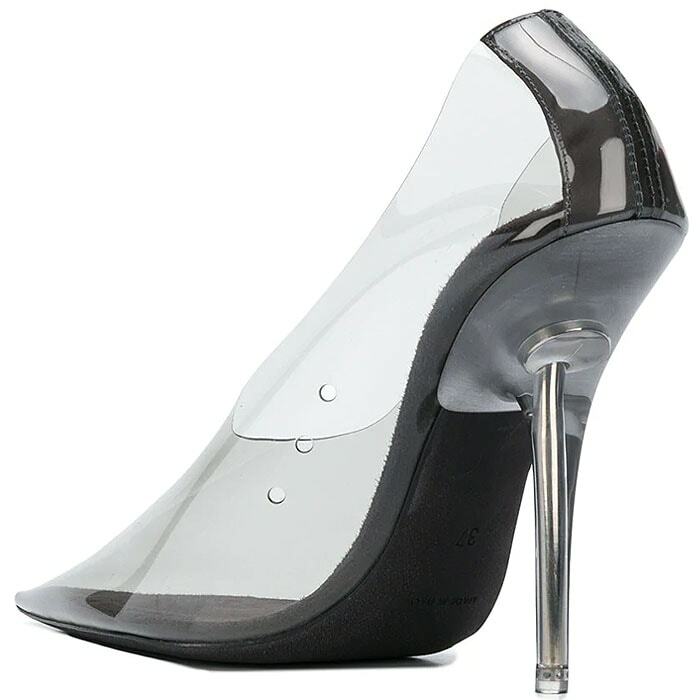 Kendall not only took a fashion risk but also a health risk with her Yeezy PVC pumps. The trendy shoes’ non-breathable plastic material creates the perfect humid breeding ground for all sorts of nasty bacteria and fungus. 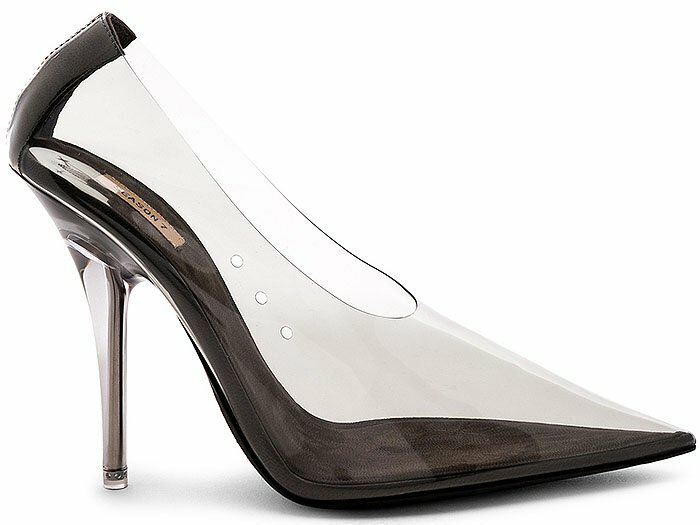 Despite the warnings against wearing clear shoes, Yeezy continues to churn out PVC footwear season after season. 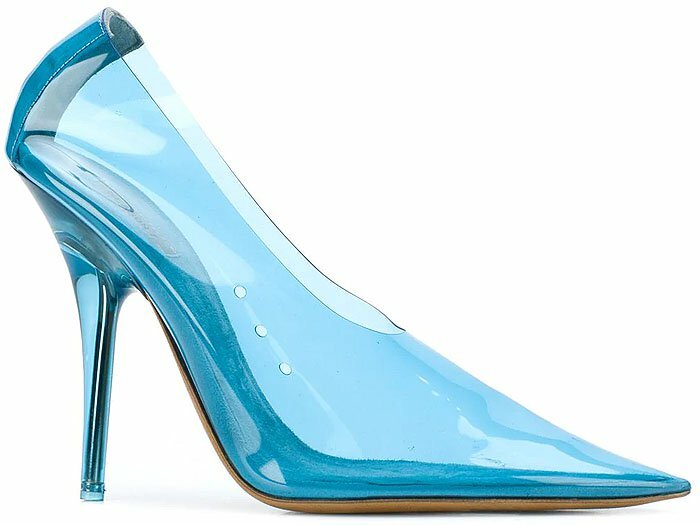 Are you still crazy about plastic shoes as the Kardashian-Jenner sisters? Just make sure you know how to spot fake Yeezys!